After not baking for so long, I wanted to get back in to it with something I haven’t made much of before. In the end I decided to go with muffins. 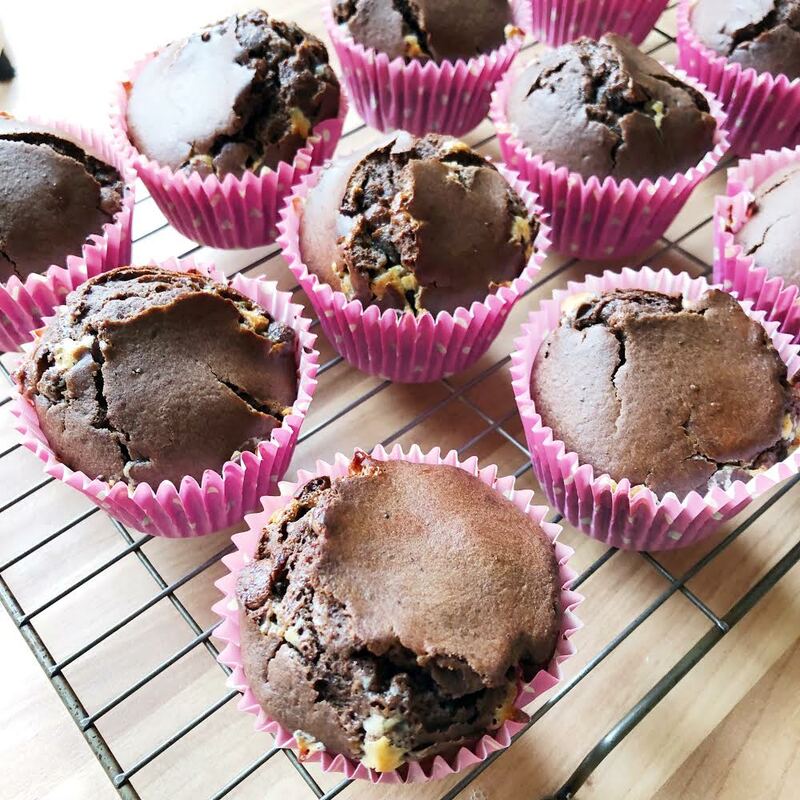 I have made muffins before, but I didn’t have a proper tin, or the right cases, so they turned out to be more like cupcakes. This recipe is from Dr Oetker, and it’s different from anything I’ve done before. The recipe I’ve used is pretty much the same, but I didn’t have enough chocolate chips, so I had to improvise with what I had. Preheat the oven to 190°C/ 170°C fan oven/ 375°F/ gas mark 5. Prepare the muffin tray with the cases. Sift the flour, cocoa powder and baking powder in to a bowl. Next stir in the sugar, and add the chocolate chips. This is when I realised I didn’t have any white ones, so I had to use star sprinkles. Combine and make a well in the centre. In a separate bowl mix the eggs, milk, melted butter, and vanilla together. Once everything has been mixed pour in the centre of the well. I melted the butter in the microwave, removing it every 10 seconds to mix until it had fully melted. I thought the mixture would be too runny with all of that liquid, but after some mixing it turned out fine. It should end up as a stiff batter. Divide the mix equally and smooth the top over. I baked mine for around 19-20 minutes, and they could have done with a tiny bit less. The recipe says 25 minutes, but I always take these times with a pinch of salt, as my oven is normally hot enough to go for less when I finally get around to putting them in. To check if they had cooked I used a cocktail stick to stab the centre. If it comes out clean it’s done. You can also tell by the feel of the top, if it’s well risen and firm then it’s good to go. Transfer to wire rack to cool, and then store as desired. There we have it, that’s how you bake Double Chocolate Chip Muffins! These muffins look and sound so so good! I love baking muffins, cupcakes, and cakes, especially anything that’s chocolate. I love that this has white chocolate in it too because that’s my favorite kind of chocolate. Thank you for sharing this recipe, I’ll have to give it a try! These look sooooo delicious!! 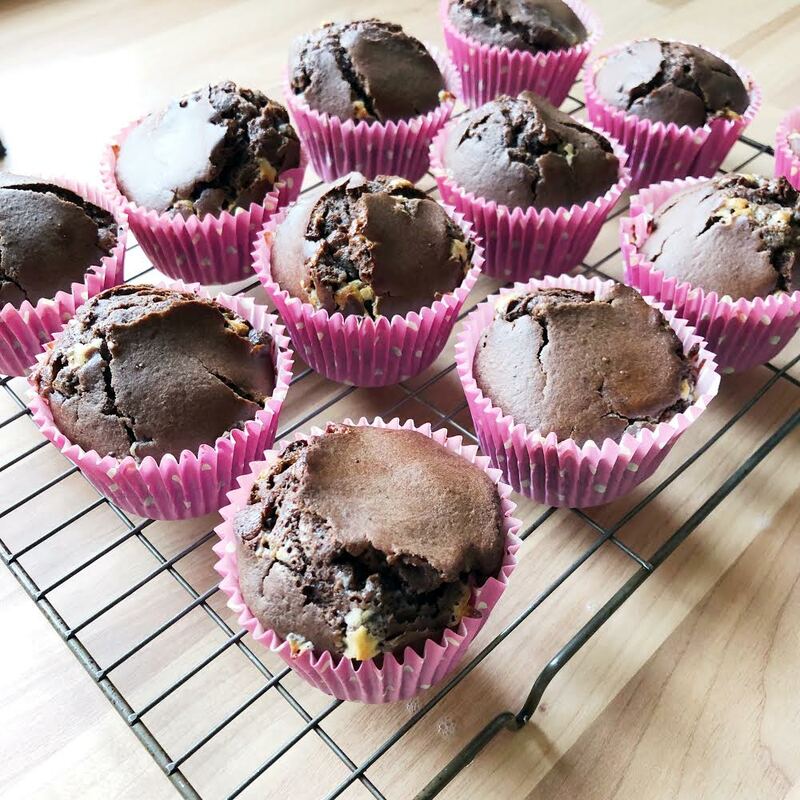 I usually make normal muffins if I make any but these look so chocoloately I’ll have to do these next time!! I’ve never fully known how to bake a muffin! So thankyou for this post, defo looking forward to giving these a go. OMG! I am sold! They look so good! 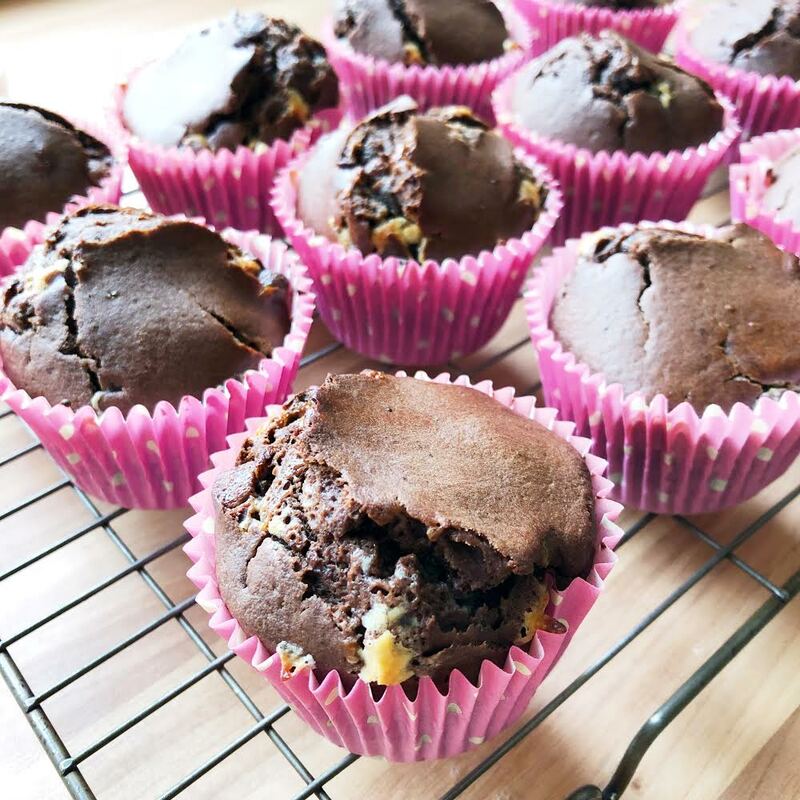 I love baking, I love chocolate and I love muffin! I want to try these! 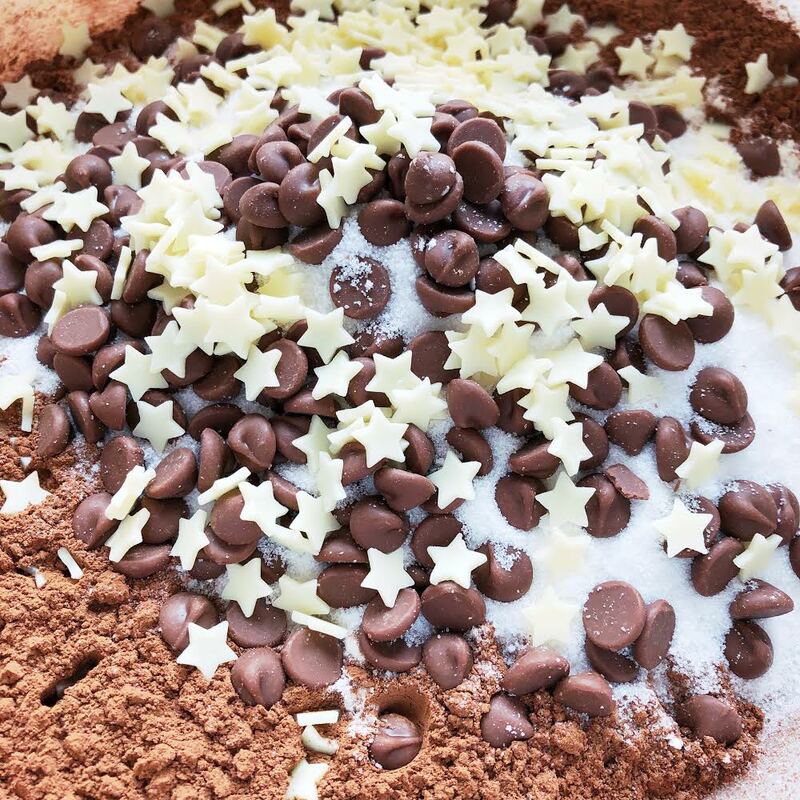 I LOVE that you used stars instead of white chocolate chips, points for improvisation! Yum! These sounds amazing! I haven’t had cupcakes in ages! I used to make them all the time as a kid. I think we made something similar to this. I’m definitely craving some double chop chip muffins now though! 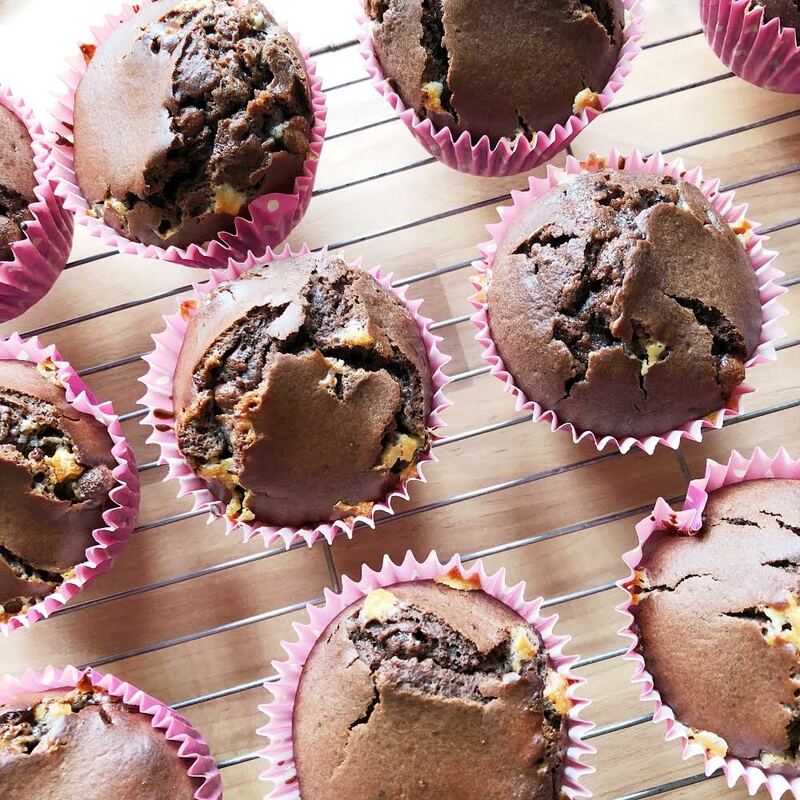 Oh wow, these muffins look amazing, they are one of my favourites! 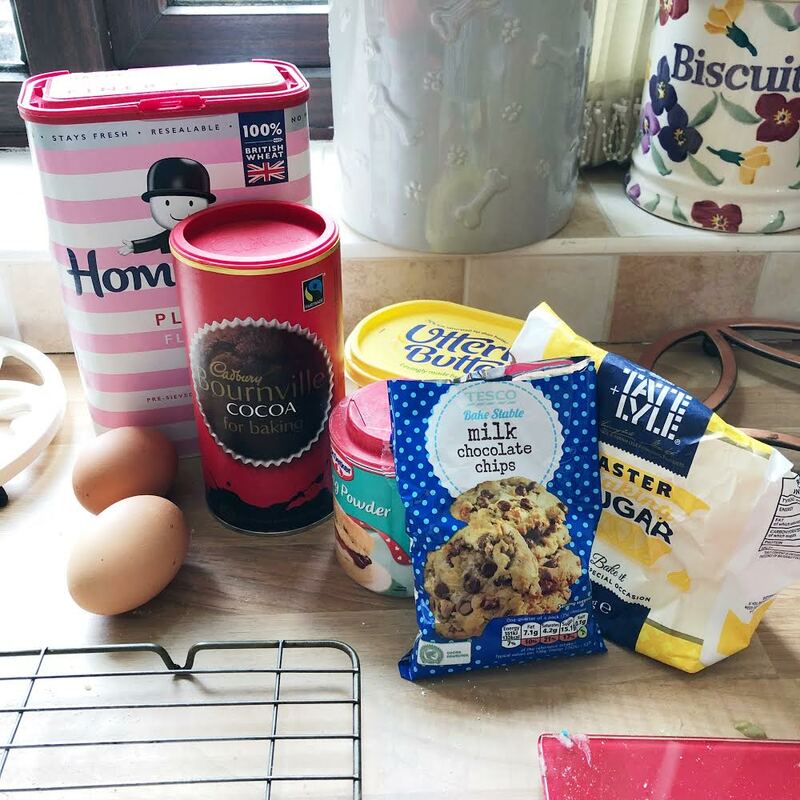 I haven’t baked in ages so will have to try out this recipe. Oh my gosh those cookies look so amazing! I am a major chocoholic so I got major cravings just from that picture of the chocolate chips (luckily I’ve got half a pint of vegan chocolate chip cookie dough left, that I’m most definitely gonna go for right after I type this haha). I cook a lot, but I actually don’t bake and have never baked anything from scratch before, but I really want to! Anything chocolatey is a winner in my book. Thanks for sharing! OMG these look absolutely amazing!!!!!! I need to bake these, they sound delicious!! These look fantastic! I love chocolate so much. Omg! Now I have a huge craving for a chocolate muffin! I guess it’s a good thing you had to use those star sprinkles as substitute because they look so cute!! These look so tasty! I don’t know where to start when it comes to baking, so I love posts like these. Thanks for sharing! Omg yesss I looove chocolate chip muffins! These look so good! !